Earlier this week, Neil Arce guaranteed to Asian Poker Tour CEO Chris Parker that Arce would win this tournament. Parker reminded Arce of that fact in the trophy presentation ceremony after Arce's win, then asked him what he had to say. Arce was literally speechless. 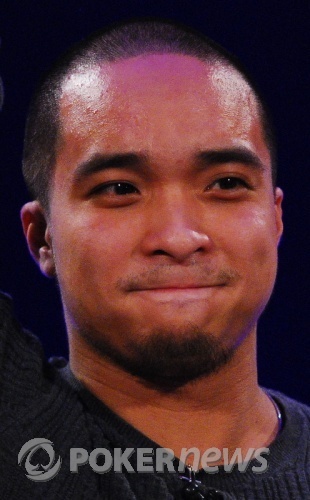 "It's not often you'll find Neil Arce without words," quipped Parker. This was one of the shortest final tables anyone in the media row could remember, clocking in at less than three hours. We don't think there was a single all-in hand that resulted in a double-up. Every time a player's all-in bet was called, that player was eliminated. It made for a mercifully short day. Arce was the Day 1a chip leader and emerged victorious after a short heads-up battle with the Day 1b and Day 2 chip leader, Steve Yea. It was another case of "so close...!" 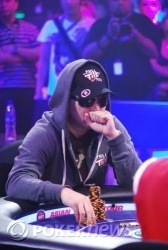 for Yea, who finished second in Macau last year to Yevgeniy Timoshenko. For his impressive run through the field, Arce earns $185,000 and the winner's trophy. That will do it for us from Manila. Later in the week PokerNews in conjunction with PokerNetwork will be traveling to Adelaide, Australia for the first ever installment of the Australia and New Zealand Poker Tour. We hope you can join us there in person, but if not feel free to follow along at home. 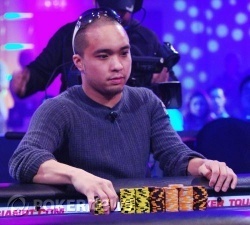 Steve Yea Eliminated in 2nd Place ($100,000); Neil Arce Wins APT Philippines Main Event! 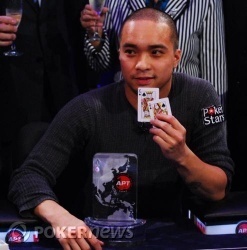 Neil Arce had only just recently taken the chip lead from Steve Yea. 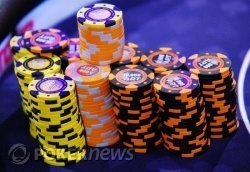 He showed a willingness over a series of hands to up the preflop aggression. On the final hand, he made what had become a standard open for him of 100,000. Steve Yea reraised to 300,000. Arce moved all in and Yea called in a shot. Arce was in very bad shape, a 3-to-1 underdog to Yea's hand. There was no help for either player on a flop of . A pumped-up Yea was two cards away from a huge double-up. The dealer burned and turned the turn... the ! The partisan crowd, here to cheer on the local favorite, exploded out of their chairs. A stunned Yea could only shake his head. It was out of his hands; he did all he could do by getting his chips in good. The small contingent of Koreans were pleading for an ace on the river, but it didn't come. The river blanked out to eliminate Yea in second place -- the second APT tournament in a row in which Yea has finished as the runner-up -- and give Arce the victory. Steve Yea again opened the button to 30,000 and Neil Arce made the call. 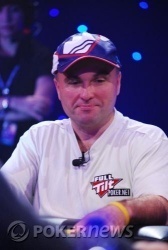 Both players checked the flop of to see Yea lead out for 32,000 when the fell. Arce then put in a check-raise to 100,000 with Yea making the call. The river landed the and Arce made it 80,000. Yea sat in the tank for close to a minute before cutting down a raise to 280,000 with Arce quickly announcing, "Call," and tabling for a straight and the pot to put him into the chip lead with around 1,700,000 and change. Neil Arce and Steve Yea took a limped flop of . They both checked to the turn, where Yea bet 31,000. Arce called. On the river , Yea bet another 80,000 but got no call. A member of the crowd made a very Korean-sounding shout at the end of the hand, prompting a few chuckles from the crowd. The spectator then added in English, "Sorry, he's my best friend." That got a round of applause. Steve Yea opened to 30,000 and Neil Arce made the call from the big blind. Both players checked to the turn with the board reading to see Arce lead out for 30,000 with Yea making the call. The river landed the and both players checked with Arce announcing, "Seven high" before Yea tabled to take the pot down. Steve Yea opened to 30,000 and Neil Arce made the call from the big blind. On a flop of Arce led out for 30,000 before being raised to 85,000. Not being scared, Arce slid out a stack of black 10,000-chips for a reraise to 230,000 total. Yea made the call but folded following Arce's all-in when the fell on the turn, to see Arce move to just under equal in chips. Cards are in the air. 24 minutes remain in Level 21. It's down now to a battle of the Day 1a chip leader (Arce) and the Day 1b and Day 2 chip leader (Yea). Neil Arce opened to 50,000 and Casey Kastle moved all in for his last 133,000. Arce made the call and the cards were tabled. The flop fell down and the crowd erupted, seeing Arce take the lead. As Arce mumbled under his breath he would see the turn of the bring about a sweat for both players. However the river of the would see Kastle hit the rail in third place for $70,000 as play now reaches heads up.